Yo yo yo! What up, friends? Guess what? I'm still reporting to you from the ATL but officially from the new pad! Yay-uh! Since I spent the weekend out of town throwing my little sister a bachelorette party (side note: I would love to share pics of the party but I would probably have to blur out certain themed shapes from our cups, the walls, my sister's head, etc. if ya know what I mean (ha! ), but just so you know, it's safe to say that being five months pregnant with a big ol' bump does not stop this girl from dancing at the club... and yes, I'm exhausted! ), I haven't had too much time to unpack. David did an amazing job at setting up things over the weekend, though, so it's already feeling like home! I can't wait to share a peek at the new place with y'all! 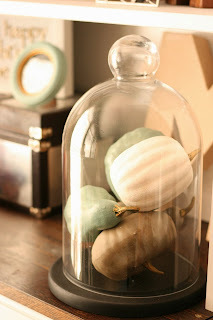 With that said, I am itching to start with fall decor. I am definitely going to unpack my fall decor boxes first. Until then, I am drooling over all of the amazing fall projects that y'all submitted for this week's Tuesday features. I am TOTALLY digging this DIY berry + chevron ribbon wreath from The Creativity Exchange. She simply added berry stems to a grapevine wreath and gussied up (I just said "gussied up"... wow) the wreath with a fabulous chevron bow which she details with a no-sew tutorial. I am totally using this tutorial for Christmas decor! 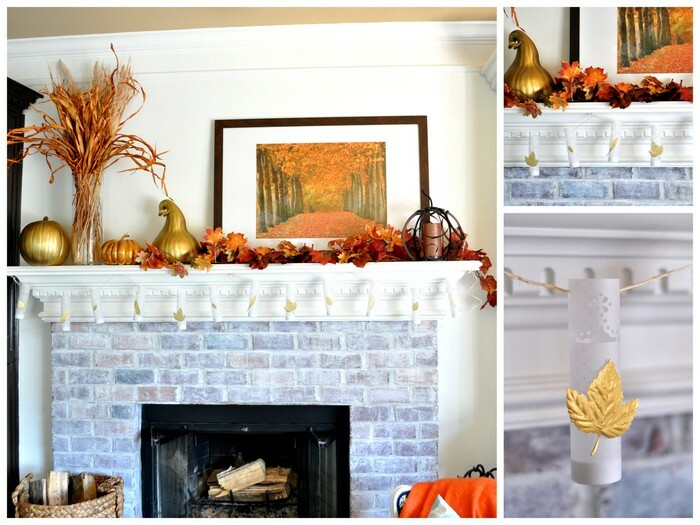 I'm totally jealous of Tracie's beautiful fall mantel from Cleverly Inspired. The combo of natural and gold elements is just perfect! How pretty are these DIY linens and this fall tablescape from The Silberez Life? Makes me want to break out my sewing machine... it's been awhile! 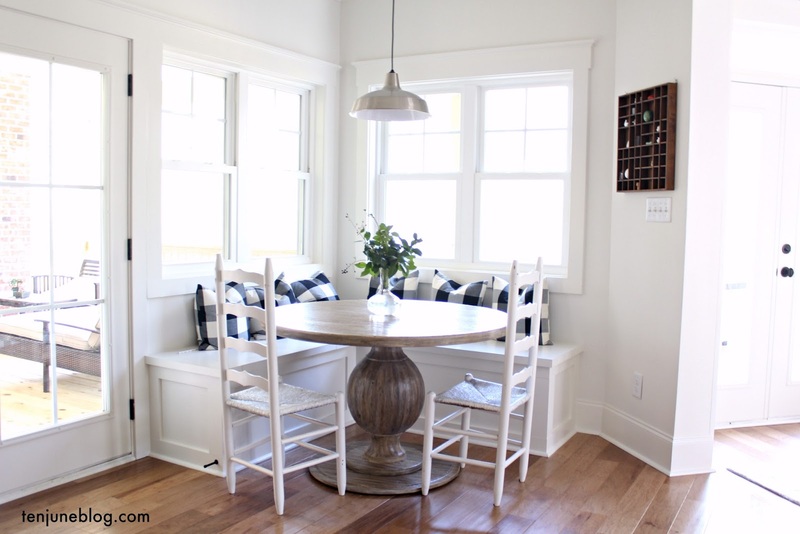 Or if you're into no-sew projects, check out this no-sew pumpkin burlap table runner from Georgia and Daughter. I really love the painted pumpkin look this year. I might have to put away the carving knife and break out the paintbrushes once we get some pumpkins at our new place! How pretty are these tiny painted pumpkins from Windgate Lane? Thanks so much for all of your great submissions. Start sending me projects for next week... fall projects, regular DIY projects, they're all welcomed! Shoot them to me via email (tenjuneblog@gmail.com, subject line "Tuesdays at Ten June") or via Instagram (#tuesdaysattenjune). Have a great fall Tuesday, friends! Psst! Have you seen Ten June's Facebook page all dressed up for fall? Check it out! Great inspiration. Love those little painted pumpkins. Glad you had a great weekend. Dancing with a baby bump - so cute! Sounds like you had a blast. I love the features! You booty shaking in the club with a baby bump reminds me of when I was doing the same for my cousins bachelorette but with a huge medical boot =) Nothing stops us from a good time right?! Thanks for all the fun inspiration and thanks for slopping by my blog. love that berry wreath...and so so glad you got moved in!!!! Thank you so much Michelle for including my wreath in your fabulous round-up!! Love that booty shaking girl!! Yes, glad you're all moved in and getting settled! Happy Fall and thank you again so much! !